You will find a huge range of hotel choices when you're planning a visit to France. The cost of accommodation varies according to region and type. While hotel rooms are inevitably more expensive in Paris, there are also many fabulous châteaux and luxury hotels throughout France which are equally as costly, particularly in regions like Provence. But there are also many comfortable, budget hotels in Paris as well as an increasing number of chains catering to those who just want a bed for the night. With internet booking, it has become almost impossible to state the price of different types of accommodation. But as a general rule, prices for a budget and economy hotel in Paris per night average around 100 euros and in the rest of France around 70 euros. These are the most basic accommodations. 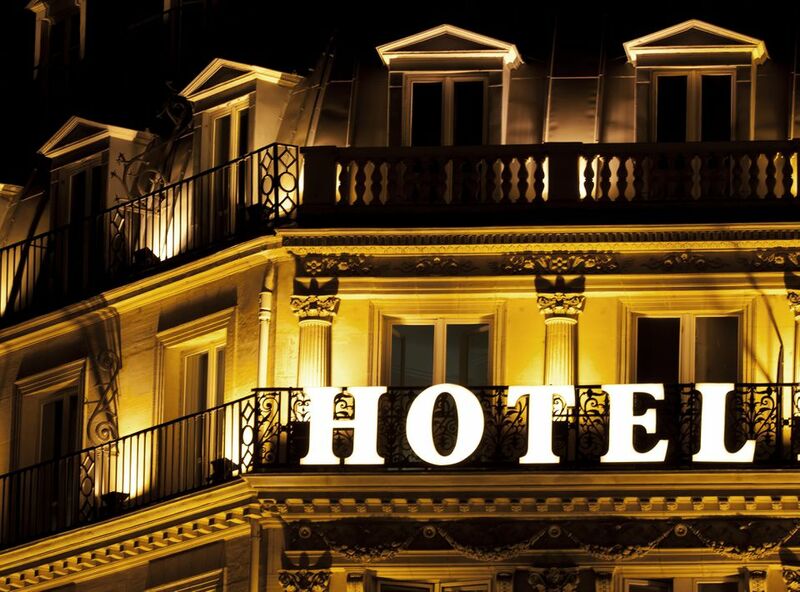 What is classified as a "very comfortable" hotel averages 170 euros per night in Paris and 150 euros outside, while the most expensive Deluxe category hotels can cost anything from 450 euros in Paris and 300 euros in the rest of France. However, remember that these are average prices, so the ranges within each category are quite wide. The French hotel star system is government controlled and very strict. Once you've got the different criteria used for each of the 1- to 5-star system (plus the top range of Palace hotels), you'll find it easier to choose the right hotel for your budget. A new scheme was introduced in 2009-2010 which led to the closing of many small, family-run hotels. The new requirements are strict, emphasizing safety and also bringing in new rules for disabled rooms. The French government also has a strict vetting system, so you can be sure that the stars awarded to each hotel really mean what they say. Hotels in France display prices at the hotel entrance and usually in the bedrooms, and include tax and service. If you need an extra bed in the room, there is usually a surcharge. You will also find that there are many more choices than a straight hotel. Perhaps try a bed and breakfast (called chambres d'hote in France)? These have grown hugely in popularity and in numbers in the past few years, offering everything from urban retreats to chateaux with pools, grounds, and more. Hotel room prices are shown for two people sharing a standard double or twin-bedded room without breakfast. The smaller hotels and bed and breakfast accommodations often include continental breakfast in the price and where this is offered, it is indicated in the review or listing. Please note that the ratings shown below reflect price bands in 2016 and are a guide only. You will get current rates (and often with the more expensive hotels, some great deals) from the website of the hotel or from the Compare prices indication. Check out the good-value, cheap hotel chains in France. They offer excellent rates, reliable accommodation and are found throughout the country. If you're staying some time and are a group, then think about renting a property. You can self-cater, follow your own regimen, and feel like a local when shopping in the food markets in the region. Properties range widely from the odd castle to delightful small villas in the French countryside. Do book in advance, a necessity in the popular vacation regions, such as the south of France. Cities like ​Nice and Cannes might have a wide range of hotels and accommodation, but there is always pressure on the best value places. And in the small, chic resorts like Saint-Paul-de-Vence, the hotels are even more difficult to book.